Teh Diamond stays true to his pledge of releasing new music monthly. 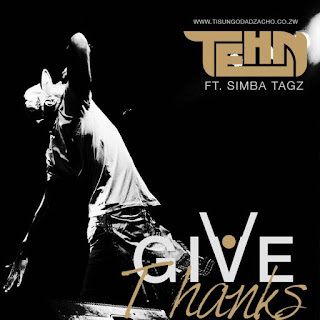 This month we get new music in the form of Give Thanks, which again featues Simba Tagz, being the second single off A Few Good Poems, which has a scheduled release date of 1 March 2016. The first single was Bho Tsano which we received on New Year's Day. We see Tehn starting off his verses in a West African (think Ghanaian, Nigerian) accent singing then switching to the rap, we all know him for. A chilled track for the chilled days, with the Mrs maybe but definitely not gym music. For give thanks, for life, your family and for the music.